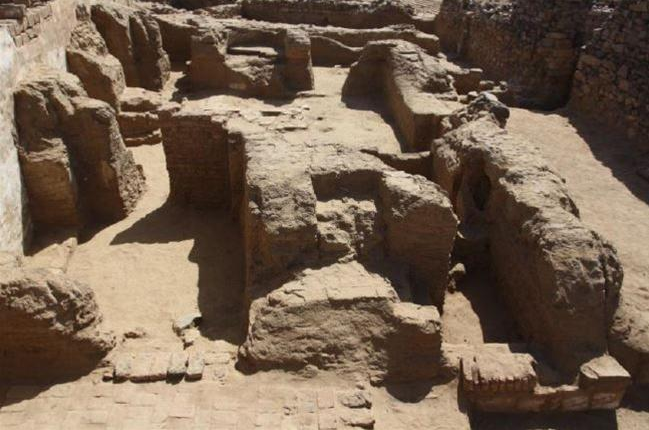 Polish archaeologists in al-Ghazali in Northern Sudan discovered a unique church in Byzantine monastic architecture, a large number of fragments of funerary stelae and inscribed vessels. They also verified the current knowledge of this medieval pilgrimage centre. The researchers prepared an extensive documentation in the form of geophysical prospecting, several thousand photographic kite photographs, which allowed to prepare an orthophotomap, which is a set of photographs taken from the air and adjusted to the scale and geographic coordinates. The scope of the project included the monastery, village and the adjacent cemetery. "It turned out that previously published plans of both the monastery and the main church are far from reality. Also, today we can refute the hypothesis that the monastery was the centre of ceramic production, as has been argued so far. Iron was melted near the monastery, but the production was not necessarily associated with the presence of monks" - explained the head of the project Dr. Artur Obłuski. He also pointed to the scale of the investment that was the monastery. In his opinion the structure size was comparable to Byzantine imperial foundations, such as the famous monastery of St. Catherine in Sinai, according to historians one of the investments of the Emperor Justinian that drained the treasury in Constantinople. "This gives us a comparative scale for power and wealth of Makuria, the forgotten powerful kingdoms of medieval Africa. Ghazali is just one of several spectacular projects of Nubian kings, who also built a network of heavily fortified settlements along the valley of the Nile from Aswan to Khartoum, with the crown jewel: the capital of the kingdom, Old Dongola" - said Obłuski. The main building of the monastery complex is the church built of perfectly shaped sandstone blocks (the North Church), which, according to Szymon Maślak of the Centre of Mediterranean Archaeology, University of Warsaw, can be compared with Byzantine architecture in terms of concept and built quality. This year’s excavations also yielded a surprise in the form of an unprecedented in the monastery structures second church, the so-called South Church. It is a small structure of dried bricks, but has all the features characteristic of the Nubian churches. Dr. Grzegorz Ochała from the Department of Papyrology, University of Warsaw is working in the inscriptions of the North Church. "It is hard work. The inscriptions are preserved much more poorly than the drawings. Sometimes I spend many hours on few letters without any result. And sometimes a beam of light illuminating the inscription for a few seconds in the right way allows me to read all the text that previously was unreadable" - said the researcher. In his opinion, one of the most interesting inscriptions is the prayer "Lamb of God" written in Greek, which proves that this language was used in medieval Nubia much longer than in the Byzantine territories conquered by the Arabs. In addition, carved on the walls are the names of people visiting or living in the monastery. 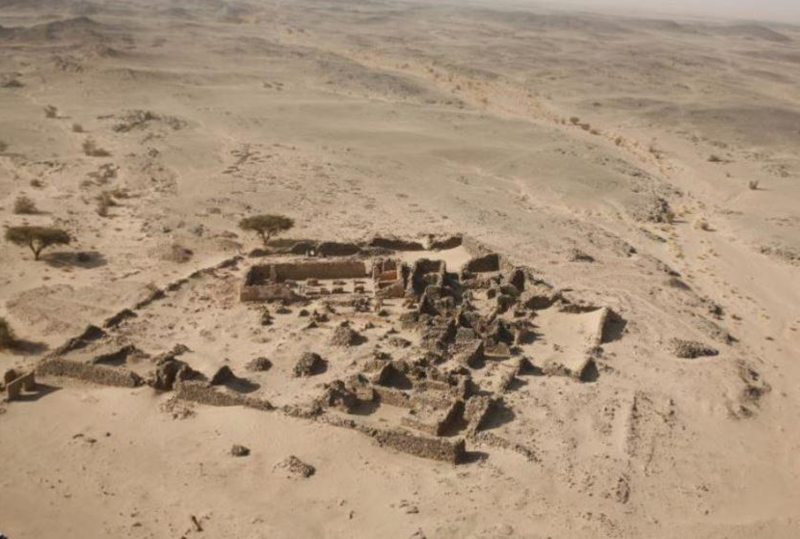 "Our first season of excavations at al-Ghazali brought unexpectedly positive results and made Ghazali the second largest source of stelae in Nubia" - said Obłuski. Al-Ghazali is one of two known religious complexes in medieval Nubia, located outside the Nile Valley. The monastery is located in Wadi Abu Dom - valley temporarily filling with water that crosses the desert Bayuda, once was the busiest trade route in the north-east Africa. It is now ruined and abandoned. It has not yet been determined when the monastery began to function, but it is known that it functioned until the thirteenth century. Research in al-Ghazali is conducted by an expedition Centre of Mediterranean Archaeology, University of Warsaw and the Sudanese National Corporation for Antiquities and Museums, led by Dr. Artur Obłuski of the Oriental Institute of the University of Chicago.